Did you notice the use of plural when I said forthcoming trips for me? You can imagine the smile on my face too, it is a constant these days, I guess. This is the last stretch of calm before the storm, I mean my teaching semester will start soon. And I like to cram in as much trips as I can just before that. This time I got lucky too. If all goes according to the plan I would be traveling on all the weekends (extended ones too) for the next three weeks. Oh the bliss of traveling! 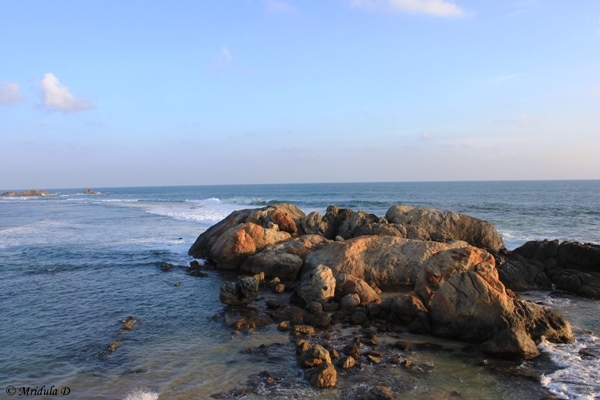 The first in the series is my maiden trip to Kerala with Travspire. So before this week inches to a close I would be flying to Kochi (Air India) to start a 4 day journey in the God’s own country! Backwaters, cycling and kayaking are on agenda. Now would you blame me if I sound so excited? My hands are itching to click new pictures. And even though I have now concluded that I prefer the mountains a little more than the sea, but I love the sea too. Actually I love it a lot. The tan that I get from being out in the hot sun is another matter though! But that I get from the mountains too. Talking of mountains I could do a trip to the Himalayas too, but all in good time! The next two trips are to Rajasthan and more about them in good time. But now that I could be traveling for 3 consecutive weeks the war has started early. I need to finish so much work before I can set my foot out. So have to keep this post short. Do stay tuned for traveling to Kerala and Rajasthan with me and Travel Tales from India and Abroad.